If you are interested in involving your students, please complete the Bikes, Blades & Boards application and return by fax or email to the Hamilton Brain Injury Association. Once your completed application is received, you will be contacted by program coordinators to book a presentation day for your students. · Interactive discussion regarding parts of the brain, their function, and difficulties when damaged. · Demonstrations regarding safe helmet use. · A short video on bicycle safety, helmet features, and proper use. · Colourful and informative handouts for students to complete. · Take home information for parents to help support their child(s) safe helmet wearing habits. If you are interested in becoming a Bikes, Blades & Boards volunteer, please complete the Volunteer Application below. Upon acceptance, you will be required to complete a Police Records Check. Upcoming volunteer training dates available. Kindly email completed applications to: info@hbia.ca. Thank you for your interest in volunteering with our BB&B program! The Hamilton Brain Injury Association, The Hamilton Health Sciences Acquired Brain Injury Program, and Brain Injury Services partnered with community agencies to develop the Bikes, Blades & Boards (BB&B) injury prevention program in 2000. 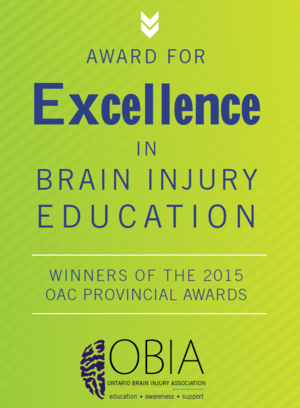 To fulfill our educational pillar, the Hamilton Brain Injury Association operates BB&B which is a volunteer-based educational program led by dedicated committee members, and volunteers. This program is available at NO COST to Hamilton, Niagara and Haldimand-Norfolk School Boards. To better serve you, our BB&B Committee Members and volunteers conduct presentations throughout the entire academic year (excluding December).